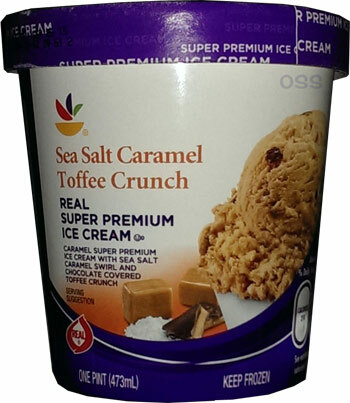 [new for 2014] Ok, I teased during the lava cake ice cream review that there was another flavor that caught my eye at Stop & Shop (Giant for some of you). Well, I was hungry and it was on sale again, so here goes nothing. First bite, I went for one of those toffee bits sticking out.... wow, isn't that wonderfully sweet? I need more! 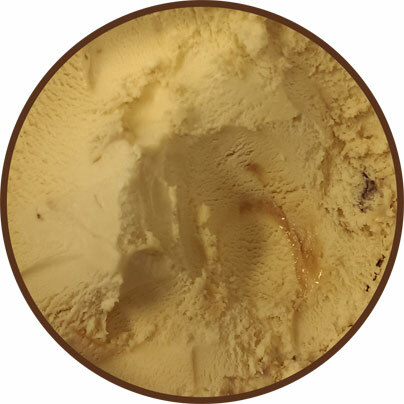 Man, talk about flavorful toffee, it's just bursting with a rich, complex flavor. Wow. I just wish the icy base could keep up with it. 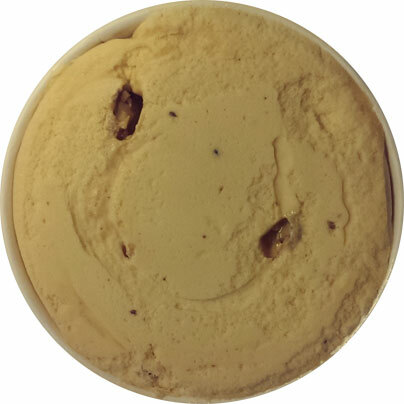 It's funny how if you take your time, you notice the sea salt caramel introduction to each bite, but then a nice, mild toffee finish to it. I'm struggling to find more toffee bits, mmm, there's one, nice and crunchy. You know what? I can see some people going "whoa, that's too much toffee for me" or "there's too much almond kick to the toffee". Actually, I can even see it wearing people down a bit but overall I still have to give it a plug for trying to be unique. Finding a toffee bit is like a huge rush amongst mild bites. Just so you guys don't think I'm being rough with my icy comments, please keep in mind that I bought this pint from a different Stop & Shop hoping that lava cake pint was a texture fluke but apparently not. So strange. On one hand it reminds me of ice cream before companies want crazy with these chemicals that make stuff "creamier", but it's too gritty. It's already been several minutes out in the open and even the texture of the softest parts is still gritty overall. Alright, I stopped just before the halfway mark and I gotta say.... I need a pretzel or something... ok, just downed a couple of pretzels, I feel better now. For me, there is an imbalance here, which is a little weird considering how much I like things like Heath Bar Blizzards. At first I liked the potent bursts, but they wore me down without a nice premium texture to compensate. Bummer.